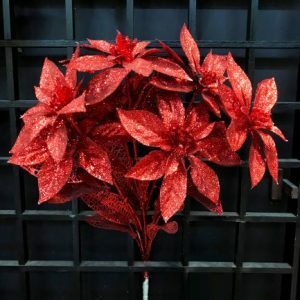 Each of the 40cm Poinsettia Branch contains all of the traditional components of Christmas, from the rosy red blooms of the Poinsettia flower, to the golden onion baubles accentuating each 12cm wide wired pick. 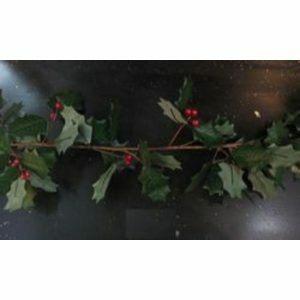 This is joined by a rich red apple, lush holly leaves, and a curly twirl accent that creates fullness and interest in each branch. Tuck these in the boughs of your holiday tree, natural or artificial, for a polished look that reflects the conventions of the Christmas season. 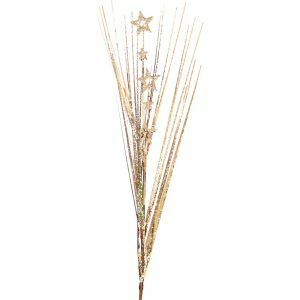 These are the perfect item to bring instant holiday cheer to packages, greenery, or places around your home. These are lovely when used on their own, but when you tuck them in among fresh flowers, they transform the arrangement into something special. 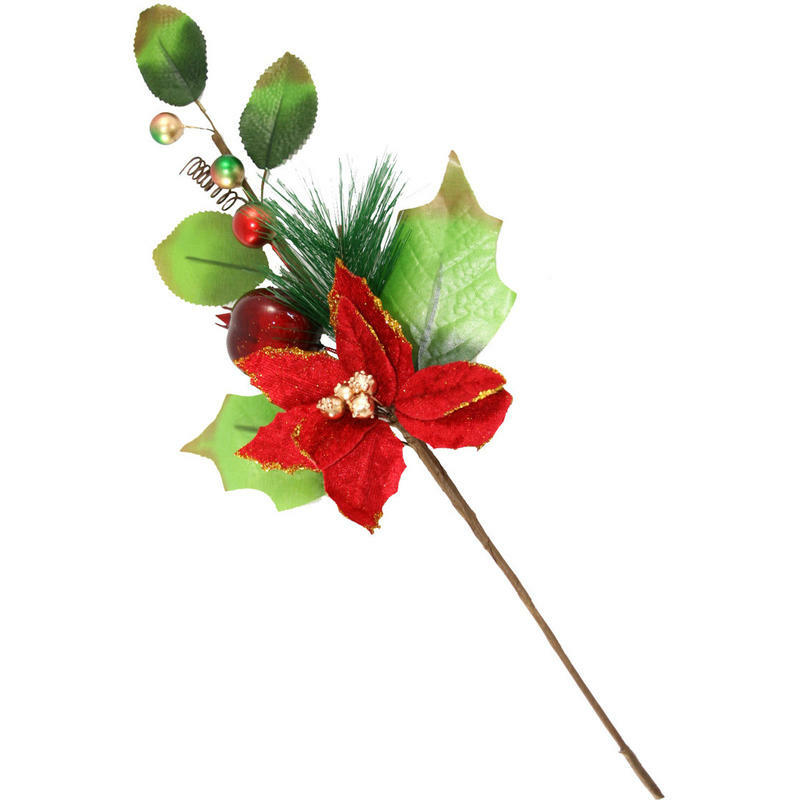 Try sliding one under the ribbon of a wrapped gift, bending the flexible stem to secure. This looks even better than a bow, and will provide the lucky recipient with something new to incorporate into their own home decorating schemes.